This Easy Corn Salsa is made with fresh corn on the cob, jalapenos, cilantro and a sweet and spicy dressing. This Corn Salad is a perfect salsa to serve with chips, over meat, or even as a fresh summer salad. There are few things I love more than summer produce. From sweet blueberries, to juicy watermelon, to southern peaches to sweet corn on the cob, I anxiously await summer produce all year long. I love to make summer sweet corn in a variety of ways. Creamy corn dip, Mexican Grilled Corn, and this Grilled Corn Salsa, are favorites at our house. This simple corn salsa reminds me of of Mexican Street corn and is full of unexpected flavor that turns humble corn into something quite extraordinary. 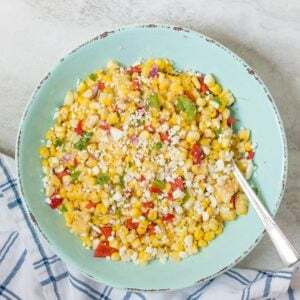 This street corn salad is extremely versatile as well. We serve this simple corn dish as a side dish, on top of Honey Lime Chicken Fajitas, on top of Tostadas, or even by the scoopful on chips. For homemade corn salsa, you can choose to grill corn on the cob, or roast corn. The first step to achieving maximum flavor is to first grill fresh corn on the cob. This develops the natural sweetness of the corn, while imparting some smokiness into the dish. For this corn salad, I place shucked corn directly on the grill to char some of the kernels. Once corn is grilled, remove fresh corn kernels from cob. If you don’t want to fire up your grill, you can slice off your corn kernels from ears of corn (or use defrosted frozen corn) and roast in a 400 degree oven for 20-25 minutes, or until corn is browned. A great tip when slicing corn of the cob is to place the tip of the corn cob into the opening on a bundt cake pan and then carefully slice off the kernels. All the corn will fall into the bundt pan, leaving your kitchen counters free from random corn kernels. Mix together a bit of fresh lime juice, lime zest, hot sauce, garlic, honey, and salt create MAGIC and make grilled corn reminiscent of Chipotle’s Roasted Corn Salsa. Toss the warm corn with the diced jalapeno, red pepper, lime dressing, and cilantro. Top with Crumbled Feta Cheese if desired. To make this Corn Salsa dairy free, omit feta cheese. To make this Corn salad vegan, use sugar in place of honey and omit feta cheese. 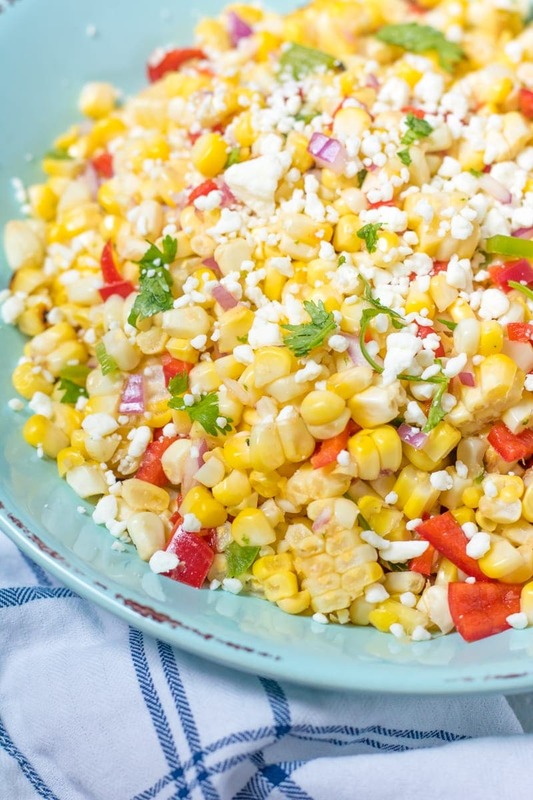 This Roasted Corn Salad can be served as a salad, a side dish, or even a salsa with chips. Corn Salad can be served immediately, but is best when served after refrigerated for 2-3 hours, to allow flavors to blend. Mexican Corn Salad can be stored for up to 5 days. If you don’t have fresh corn on the cob, roast defrosted frozen corn kernels in a 400 degree oven for 20 minutes, until browned. Feel free to omit the jalapeno if you don’t like spicy foods. Skip the cilantro if you are someone has an aversion to cilantro. Fresh corn on the cob is grilled and then tossed with jalapenos, cilantro and a sweet and spicy dressing for a perfect salsa to serve with chips, over meat, or even as a fresh summer side dish. Grill corn cobs for 10-15 minutes until beginning to char. 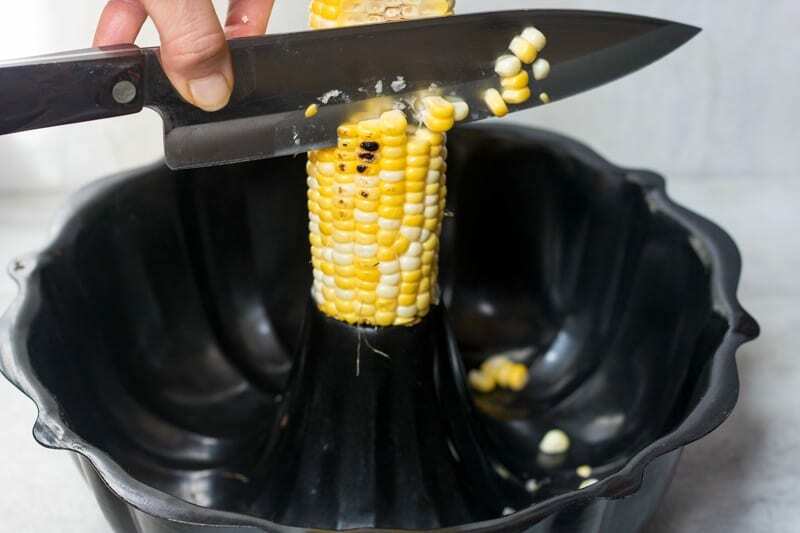 Remove corn from grill and allow to cool. Prepare the Honey Lime Dressing: In a mixing bowl, combine honey, hot sauce, lime juice, lime zest, salt, garlic and jalapeno together. Slice kernels off cobs into the mixing bowl. Sitr to toss kernels in mixture. Add in fresh cilantro, diced red peppers and feta if using. To make this dairy free, omit feta cheese. If you don't have fresh corn on the cob, roast defrosted frozen corn kernels in a 400 degree oven for 20 minutes, until browned. I’d eat this fabulous salsa with chips, then later as a side with dinner! Your corn salsa is the perfect way to enjoy fresh summer corn! I absolutely love this combination of flavors! It looks delicious! Grilled corn is always a hit with me. Yum! Grilled Corn is ALWAYS best! Great flavors and so easy to pull together! A winner in my book, for sure! My family would devour this!! Girl, you are rockin’ it over here. Recipes like this are what summer’s all about! Fresh sweet corn and pure deliciousness. Love! Thanks Karly. This is what summer is about!! I love this idea for grilled corn! It would make a flavorful side too! Yes, we have it many times as a side dish! I need to run out and get some fresh corn so I can make this! What a great summer dip to share with friends on the paito with drinks! Patio, drink, friends and this dip are the perfect combo! I can almost taste it now! making this for taco tuesday for sure!! I would definitely be scarfing this down with chips, too! Thanks for sharing. I absolutely love a simple yet satisfying dish like this that can be so versatile to boot! Thanks Katie–this is for you then! I love grilled corn and this salsa really lets it shine. 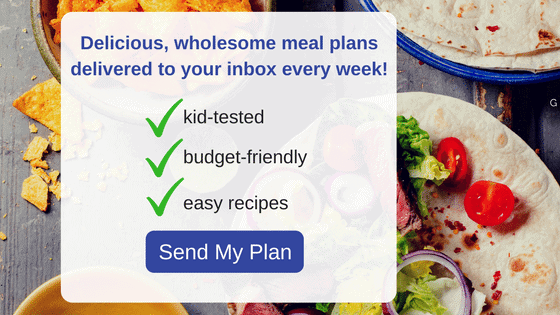 I might add it to my salad leftovers too – would really amp up a plain chopped salad. Oh yes, great idea Laura. I added my leftover salsa to a grilled quesadilla a few days ago–so good! There is nothing like summer corn!! We don’t grill it often enough though! This sounds fabulous! Grilling the corn just adds so much flavor! Such a good idea for a summer salad, that looks amazing! Thank you so much Kalyn! I hope you enjoy! I would recommend making a double batch! Once you take a ‘taste’ you won’t stop! YAY!!!! Love hearing this Sarah! This looks amazing!! Grilling corn makes it soooo much better. I can’t wait to try this!! It is a great trick Kasey. The grilling of the corn, gets it so sweet!